The first time you visit Iceland you are inevitably drawn to the popular destinations of Reykjavik, the Blue Lagoon and the Golden Triangle. 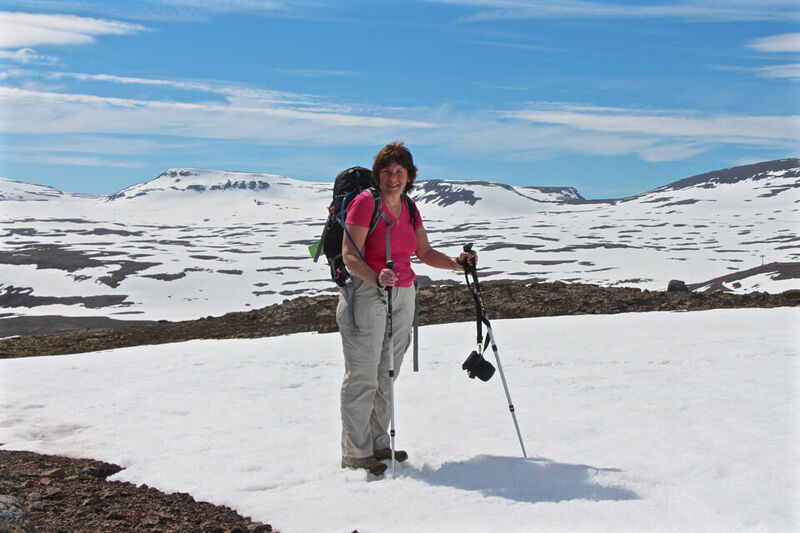 But those attracted by the scenery, culture, history and wildlife of this endlessly fascinating island will want to travel further afield, and a summer trip to the West Fjords provides great scope for adventure. Three hours drive north of Reykjavik you reach the colourful harbour town of Stykkisholmur, a good spot for a walk and overnight stay before taking the ferry across Brei∂afjor∂ur. Bird watchers and history buffs will want to disembark halfway and stay overnight on the historic island of Flatey - breeding ground for thousands of birds, and site of one of the oldest libraries in Europe. You can leave your car on the ferry and collect it next day from the dockside in the Westfjords. The ferry terminal is little more than a pier and café, but from here you head west along the south coast (route 62) crossing the first of many mountain passes to reach Patreksfjordur. The south side of this lovely fjord provides many surprises: on a good day, azure sea, golden sand dunes, historic ships and a local museum and teahouse. In good weather drive to the bird cliffs at Latraberg along 612. This route provides your first taste of Icelandic backroads: remote tracks through the wilderness, winding, unpaved, narrow and unfenced – they demand care and respect. The 400m high cliffs form the westernmost point of Europe and are thronged with a multitude of birdlife – the highlight for most visitors probably being the thousands of puffins. Nesting remarkably close to the cliff edge path you don’t need expensive camera gear to get memorable photos. On the way back, if you have time, make a detour on 614 to Rau∂asandur – Red Sand Bay. The road descent is really scary, but the views and a lovely café serving cream and jam waffles make it all worthwhile. You’ll probably overnight at Patreksfjordur, although the remote hotel at Brei∂avik is an interesting alternative. The next day’s journey north is a real adventure. If travelling early in the season, you’ll head up into the mountains on Route 63 until this meets with R60, travelling on rough roads and driving amid the snowfields and melt rivers. Each mountain pass brings a new view and you travel through a succession of small, remote and very attractive fishing villages. You may decide to have a swim in a geothermal pool (Reykjarfjor∂ur), visit a botanic garden (Skru∂ur), a museum (Hrafnseyri) or take a walk to a summit amongst the fields of blue lupins (try the Sandafell track). One way or another you will eventually arrive at Dynjandi, neither the tallest nor the biggest waterfall in Iceland, but surely the most beautiful, and one that deserves a halt and a walk. A final excitement is the trip through the long single-track tunnels that link Flateyri with Isafjor∂ur. Isafjor∂ur is the main town for the West Fjords with several hotels, good restaurants, an excellent museum and shops that cater for both the independent traveller and the many cruise ships that arrive in summer. There are lots of walks in the area and it is worth giving yourself a couple of days to see as much as possible. The very hardy can take a boat across to the uninhabited wilderness area of Hornstrandir. From Isafjor∂ur you can continue around the north coast on route 61, or take a commuter flight back to Reykjavik from the airport perched on the edge of the Fjord. - Iceland is a truly a country where you get ‘four seasons in a day’. Rohan waterproof lined trousers such as Dry Pioneer or Dry Requisite mean that you can visit sights and take walks regardless of wind or rain, and are really worthwhile close to the spray of waterfalls. - You never want to have an accident, but if the worst happens have the Iceland 112 App on your phone. This App allows you to tell the rescue services your plans and, cellphone reception permitting, send your location to a rescue centre if disaster strikes. - You don’t need a 4WD car on the Westfjord roads, but 4WD is reassuring if road conditions are poor, or you plan to park on the roadsides, which often have soft surfaces. Hardy souls will travel by bike, but this requires considerable endurance as the mountain passes are high, journeys between habitation long, and the weather may be evil. Public transport is limited. - Good walking pamphlets can be bought at tourist information offices, but be aware that the routes are just suggestions; they may or may not be waymarked, while snow or spate can make them impassable. In Iceland you cannot guarantee good weather. In June 2014 we visited the Westfjords and barely saw anything other than cloud above 100m. Add to this gale force winds, torrential rain and low temperatures and it was not for everyone. Contrast this with 2015 where the sunshine was almost unbroken the entire trip, and you realise you just have to prepare for and accept whatever the climate has to offer. Hard to choose, but eating a picnic lunch on a knoll in the snowfields high above Isafjordur while admiring the panoramic view was pretty special.